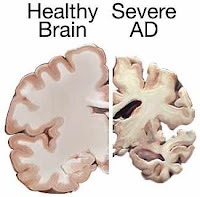 Alzheimer's disease damages the normal, healthy functions of the brain. It is caused when protein fragments called plaques and tangles stick together to form the Alzheimer's protein. This protein then starts to kill brain cells starting at the hippocampus and ultimately destroying the whole brain. Last week, scientists have announced that they have developed a way to manufacture antibodies that can neutralize the harmful protein particles that causes Alzheimer's disease. The new antibody design process was developed by researchers at the Rensselaer Polytechnic Institute. The team is led by Assistant Professor of Chemical and Biological Engineering, Peter Tessier. Antibodies are large proteins produced by the body's immune system to fight infection and disease. Antibodies are made of large Y-shaped proteins with small peptide loops on top. These peptide loops binds itself to harmful viruses or bacteria in the body. Once bound, the immune system generates cells that are sent out to destroy these harmful targets. The team created antibodies that target the Alzheimer's protein. Using the same molecular interactions that cause the Alzheimer's proteins to stick together and form the toxic particles, the scientists created antibodies that only binds to the harmful clumped proteins. It ignored the harmless monomers or single peptides that are not associated with disease. Video: What is Alzheimer's Disease? "We are actually exploiting the same protein interactions that cause the disease in the brain to mediate binding of antibodies to toxic Alzheimer's protein particles," Tessier said. "By binding to specific portions of the toxic protein, we could test hypotheses about how to prevent or reverse cellular toxicity linked to Alzheimer's disease,"
In a related report, researchers at the University of Sydney announced that they have developed a vaccine that has the potential to prevent Alzheimer's disease from getting worse in patients. See video below. The process by Terrier is reported in the Dec. 5 Early Edition of the journal Proceedings of the National Academy of Sciences (PNAS) and outlined in the paper, titled "Structure-based design of conformation- and sequence-specific antibodies against amyloid β,". The research team sees the potential for their technique being used to target and better understand similar types of protein particles in disorders such as Parkinson's disease. In the long term, as scientists learn more about methods to deliver drugs into the extremely well-protected brain tissue, the new antibody research may also help to develop new drugs to combat Alzheimer's disease and other disorders.